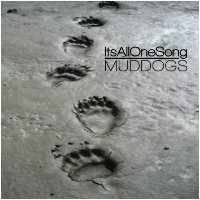 We are excited to welcome Michael Moore of ItsAllOneSong to Earth Mantra, with his strikingly creative debut album entitled MudDogs. We have a treat in store for our listeners with this release, which is a truly inventive collection of pieces spanning multiple areas of ambience. Indeed, the music of ItsAllOneSong is difficult to pigeonhole into a specific genre context, because Michael always seems to be investigating new forms and approaches. As a result, his music is never predictable, never gets locked into in creative ruts, and is always a refreshing departure. This album is a great case in point, for the music in it lovingly wanders through multiple ambient subgenres, a truly stimulating listen. Surprisingly, MudDogs is Michael's very first album-length release anywhere, which we find extraordinary given the maturity of the pieces within it. There are plenty of experimental artists in the world who can mash up diverse sounds into something novel, but rarely does such an approach yield results that are intellectually satisfying or possessing of real artistry. Michael rises well above this fray with his music, which delivers all of the sonic ingenuity of experimentalism but with equal doses of musical vision and compositional savvy. The result is an album that covers an amazingly broad swathe of ambient territory, and yet has the cohesion to be both an identifiable whole and to yield the synergy that results on the best of albums. Very well done. Despite its comparatively brief length, clocking in at just over forty nine minutes, there is a lot to hear on this album, with something that nearly everyone who loves ambient or experimental music will want to hear. Followers of experimentalism or the softer side of noise will find many parts of this album to be captivating, as will lovers of the darker side of ambience. But folks who like their music tonal and a bit more traditional will also find this music to be delightful. This is really an astonishing balance to achieve, for rarely can an artist find any synchronicity at all between genres as diverse as light ambient and experimental music. But with MudDogs, Michael makes it look easy, yet another sign of how comfortable he is in presenting his musical point of view. So it is with great pleasure that we unveil the debut release by ItsAllOneSong to our listeners. We invite everyone to download and savor this music, for we feel that folks will be hard-pressed to find an album as multidimensional or innovative as this one. Highly recommended. Wow, this is different... But great-different :-). Reminds me a bit of ARC or Redshift, as it has these Berlin School pulsating and pumping qualities throughout.